The theater of the sea is a beautiful place on Key West that can completely change how you see the world of the oceans. You must use the theater of the sea to entertain yourself and your family. You must use the theater as a way to get a new perspective on the sea, and you are taught information about the creatures that you did not know before. The person who is planning to come on this experience must pick the time that is best for them. They have a couple showings per day, and you could structure your trip around this theater show. The show becomes the thing that centers your trip, and it is the thing you look forward to when you are coming to Key West. A long day of hanging out in Key West deserves a little reward, and you will find that most of the people in the theater want to get to know you. You might make some friends, and that makes it even more exciting for you to stay in the theater and see the whole of the area. The people that have come to Key West for vacation must start planning what they will do when they are in the area. Take the tickets online now because they are less expensive , and get a fantastic look at what makes Key West so nice. This is a theater experience that no one else could have. You will see a change in how you vacation, and you might get a day to truly relax. 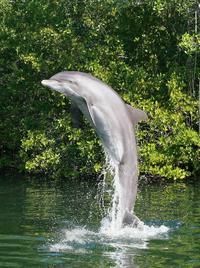 Spend the day seeing dolphin, sea lion and parrot shows, take a bottomless boat ride or relax on a lagoon-side beach all at the Theater by the Sea in Islamorada. Your general admission ticket allows you to see all the shows and take a guided marine life tour with tropical fish, sharks, sea turtles, stingrays, alligators and crocodiles. Shows allow you to get an up close and personal look at these animals and your participation is encouraged! After enjoying the shows and programs browse in around the unique gift shop, dine at Nicky's grill or relax and swim on the private lagoon-side beach. Dolphin Show (10:30am, 1pm, 3:30): This 30-minute entertaining and educational presentation that displays the intelligence, athleticism and vocal abilities of Atlantic bottlenose dolphins and includes a dynamic in-water trainer performance. Sea Lion Show (11am, 1:30pm, 4pm): Witness the charming personalities, silly antics, and unique abilities of California sea lions. Parrot Show (10am, 12:30pm, 3pm): For a half-hour, be entertained by the crazy, charismatic and unique personalities of multiple parrot species. Guided Marine Life Tour (9:30am, 12pm, 2:30pm): This 30-minute walking tour focuses on the education and conservation of sea turtles, sharks, rays, crocodiles, raptors, fishes and invertebrates. This tour also includes feeding and training demonstrations. Bottomless Boat Ride and Nature Tour (11:30am, 2pm, 4:30pm) Tour the main lagoon aboard an open-center boat while accompanied by the dolphins. This tour provides historical information about the park and provides photo and viewing opportunities of native wildlife. The bottomless boat ride is followed by a scenic walking tour through the dolphin habitat and mangrove islands which provides educational information about mangrove communities and their significance to the Florida Keys.